In WILLOW FINDS A WAY, it was expected that “. . . Kristabelle was the boss.” She was in charge of “. . . where to sit and what to play and who to play with.” When Kristabelle’s birthday came around she became even more powerful by creating a list of who could come to her “. . . fantastic birthday party!” Afraid they would be scratched from the invitation list, everyone did exactly what they were told – until one day Matteo refused to give up his place in line. In front of everyone, Matteo’s name was marked off the birthday list. Willow wanted to tell Kristabelle how mean that was, “But the words just wouldn’t come out.” Then, Willow found a different way to say “no.” It worked. Kristabelle finally learned that having friends was more important than being the boss, and the fantastic birthday party was as fantastic as promised. Dr. Mom: WILLOW FINDS A WAY reminds me how glad I am that most schools have tried to prevent – or at least lessen – the hurt feelings that can go with a child’s birthday party. Many schools use these rules. 1. No invitations to birthday parties are to be given out at school unless all children in the class receive one. 2. If children want to bring birthday treats to school for their birthday, there must be enough for everyone in the class. If inviting the whole class is not what you want to do for a birthday party – or it’s just not possible – the way to protect the feelings of others as much as possible is to make sure the invitations are not given out at school. Personally deliver them parent-to-parent or kid-to-kid by phone, by email, or by U.S. mail. There are many reasons it makes sense to limit the numbers at a party, but it is good for a child to think about how to make those arrangements without hurting others’ feelings. Inviting the number of kids that match the age of the child (four guests for a four-year-old) is a good rule of thumb. Darling Daughter: Want to help your school celebrate birthdays without setting kids up for hurt feelings? Here are some ways I’ve seen it done. Ezzy’s school has nixed birthday treats altogether – saying allergies are the cause for the change. A library birthday club: parents pay a few dollars; the child gets to 1) pick out a book and a prize for himself, 2) pick a library book to place his name in, and 3) have his picture taken to display in the school hall. A classroom birthday club: the child brings a book to school to donate. The teacher places the child’s name inside the cover saying it was donated in honor of the child’s birthday. You can see bullying beginning as early as preschool. Those early years are times when kids are all about power – all types of power: superheroes, powerful toys, and their own personal power. By trying out different ways to be powerful children learn how they can get their needs met here and now. And, as they grow up, those early decisions about power and the results of those decisions shape what they will be like as friends, family members, and workers as adults. Many preschoolers try to be powerful by coaxing, crying, and whining. 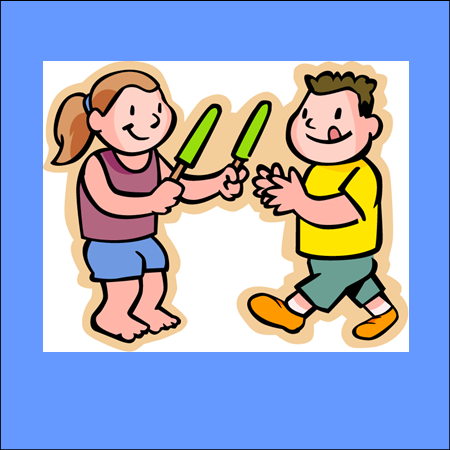 Some preschoolers are timid and become powerful by being pleasers – they are followers that do whatever their friends want. Other preschoolers often try to trick people into doing what they want them to do – another type of power. They get what they want by being sneaky. They bribe people with food and toys. They use their muscles to overpower their friends and brothers and sisters. They use force to get what they want, or they try to outsmart people (especially their younger brothers and sisters). Oh the whining! E. tried that. I told her I did not understand her when she whined. If there was something she wanted, she needed to use her regular voice. It all sounds so awful, but believe it or not, all of those unacceptable attempts to be powerful help young kids decide what works and what doesn’t work, which is a powerful way to learn how to behave. In the end, if the ugly things don’t work, kids learn what not to do if they want to have playmates and be in their family’s good graces. Preschool bullying can be nipped in the bud depending on what friends and family members allow preschoolers to get away with. Which way do they have the most friends, the most fun, and get the most of what they need? The results of their attempts to be powerful determine whether they will keep on bullying. No means no! From my experience as a teacher and as a Mom, I say to all our readers, “Be consistent and don’t give-in.” In the classroom, I can tell right away which of my students have had that consistency at home and which ones I am going to have to train myself. It’s much more difficult for everyone when a 7th grader is being trained by a teacher than when a pre-schooler is being trained by Mom! This is where adults are needed. If adults don’t pay attention to their children’s misuse of power, that power will actually work and their bullying will continue. Bullying happens because bullying works. If parents make sure kids don’t get their way when they bully and those being bullied take a stand, bullying doesn’t work. Then, there is at least a chance that a budding bully will start trying some other ways to interact with people. This is what happens in WILLOW FINDS A WAY. The biggest enemy of bullying is consequences. 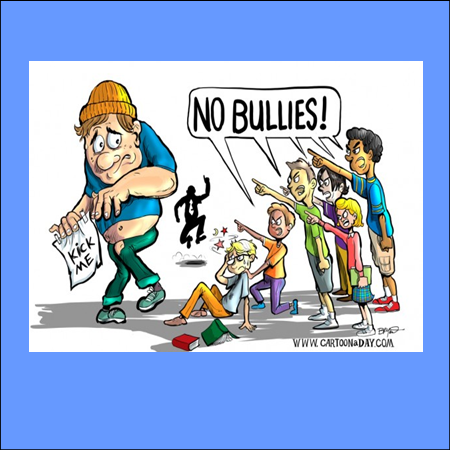 When those being bullied stand up for themselves (a natural consequence), the bully doesn’t like the results, so bullying doesn’t have a payoff anymore. Or, even worse, it has a bad payoff like suddenly having no friends. When a bully’s actions get her what she wants, she decides to do the same things over and over again. 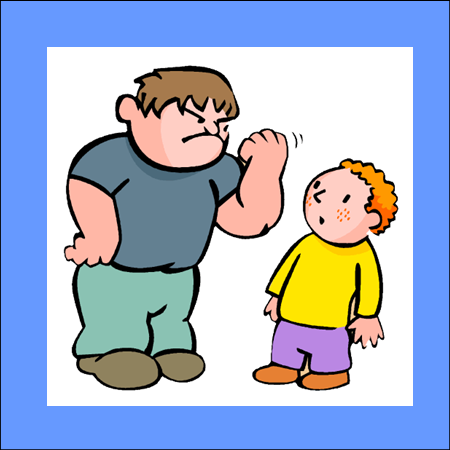 When it works, bullies get better and better at insisting, manipulating, and overpowering until they are experts – so much so that they continue bullying as adults. E. had a run-in with some bullies in 2nd grade! She was new to a small school in which the kids had been together since kindergarten. She was accepted by some and tolerated by others. In early spring, E. came home and told me that the girls in her class were saying she owed them a quarter. One of the girls lost a quarter and tried to blame it on E. She stood up for herself and told the girls that it was not her fault, and she wasn’t going to pay them a quarter. A week or so went by, and the girls were then saying E. owed them all a quarter because she didn’t pay up at first. It quickly became 2 quarters. I didn’t have a clue what the best way to handle this was. I was dropping E. off one morning, and she brought it up as I stood in the classroom. I turned to the girls and got involved. I told them that E. would not be paying them any quarters and asked them if we needed to ask their parents to help solve the problem. They said no, and that was the end of things. Needless to say, I could not imagine E. spending the next 10 years with these girls. We switched schools. E. is now in a much better place. She goes to school with neighborhood girls that have learned their manners and how to be kind to others. She has a bunch of new friends and loves going to school. I’m glad I made that hard decision and changed schools. I knew it would be hard for E. in other ways. It is always hard for kids to face new teachers and new friends, but In this case, it was worth it. The trade off was helping her deal with her fear of the unknown for a short time instead of being faced with bullying problems year after year. Empathy is being able to feel what others are feeling. Empathy is caring that others might be hurt or mad or sad or scared. Bullying and empathy are like oil and vinegar. They don’t mix very well. Believe it or not, many experts now believe that even tiny babies feel empathy. Have you ever noticed that in hospital nurseries, if one baby cries they all start crying? Some believe that this is because the babies feel empathy. The idea of tuning into how others are feeling is important for kids. If they develop empathy and pay attention to how others are feeling, hurting other people in order to get what they want (bullying) won’t feel so good to them. If others are unhappy, they will be unhappy too. Helping kids make-up for hurting others (even when it happens by accident) is a great way to get them to tune into how others are feeling and to develop empathy. You can read more about ways to do this at Your Child Is a Star. The Parenting Road has six lanes. The two on the far left and the two on the far right are off the road and into the ditch. They are the ways to parent that we want to avoid. Love with strings attached takes parents off the road onto the berm and headed toward a ditch. Loving our children “no matter what” (while still expecting and teaching good behavior) keeps parents in the middle of the road where we all want to be. Just like when we drive, we want to do all that we can to stay in the middle of the road. To drive safely in the middle lanes we need to learn how to drive, stay alert, not use drugs or alcohol, remove distractions, and pay attention to signs of trouble. The same things could be said about parenting – learn the skills, take care of yourself so you can be alert, avoid distractions, and face up to any signs of trouble you see.